When you're in an motor vehicle accident whether its a car, truck, motorcycle or even a boat, you suffer trauma and stress. An accident leaves you in shock and upset. The experience is especially disorienting if you've suffered a serious injury. At your most vulnerable and injured, you're expected to go to the hospital, get follow-up treatment, arrange for car repairs and gather all necessary documents. During the stress of missing work, getting your car repaired and just trying to get over the physical pain and mental anguish of being in an accident, the insurance companies are calling you and conducting interviews and demanding information that might incorrectly place you at fault. They're also offering up sums of cash to settle the matter. However, you may not be in the right state of mind to explain how the accident occurred. Because car accidents are common. Insurance companies want to settle quickly for as little as possible. The settlement they are offering may be far under what you need to make a full recovery and you are likely scared that they can raise your rates. That's why you need to consult an attorney. We are here to help! Our team of attorneys is experienced, and we act as aggressively as possible to resolve your case as quickly as possible. We do not charge you a fee unless you win. We pay for all costs associated with pursuing your claim until the matter is resolved. 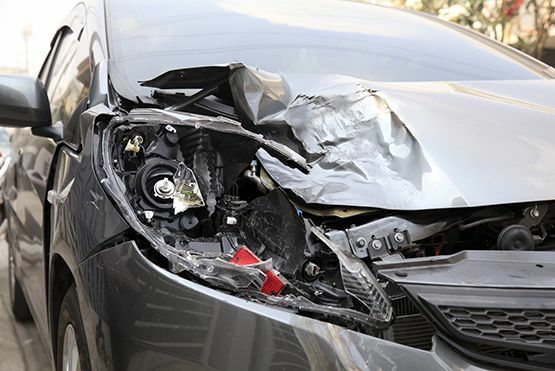 If you have been in a victim in one or more car/truck/motorcycle accidents, you should talk to an attorney from Pellegrini, Seeley, Ryan & Blakesley, P.C. We know personal injury law and are familiar with the statutes and courts in the state. These cases can be very complicated. At PSRB we will be happy to sit down with you, explain the process, discuss whether you have a good argument to show that you deserve damages, and what your chances may be at a jury trial.